Are you looking for Free MP3 Music Downloads of Anchors aweigh? Notes Taken from CD titled "From the Sea: Music of the U.S. Navy." "Anchors Aweigh," the official song of the Navy, was first sung publicly in Philadelphia's Franklin Field at the December 1, 1906 Army-Navy football game. The rousing song helped the Midshipmen shut out the Cadets with a 10 to 0 victory. Lieutenant Charles A. Zimmermann, a graduate of the Peabody Conservatory and director of the Naval Academy Band, composed the song's music, and Midshipman Alfred H. Miles supplied its words. To a remarkable degree Charles Zimmermann's career paralleled that of the bandleader John Philip Sousa. 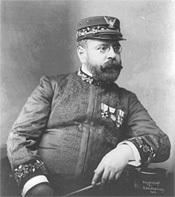 Zimmermann's father was a member of the Navy Academy Band during the Civil War just as Sousa's father was of the Marine Band. Each of the sons, both at age 26, assumed leadership of those respective bands and both committed their lives to music and the promotion of music education. At the Naval Academy, Zimmermann was approached by Midshipman First Class Alfred Hart Miles with a request from his classmates. The maestro had a tradition of composing a song for each graduating class and Miles and the class of '07 wanted a lively football marching song that would "live forever." Navy lore has it that Zimmermann and Miles worked out the song together, sitting at the organ in the Naval Academy Chapel. In the days just prior to the Army-Navy football game, Zimmermann composed the music while Miles developed the words and the title. Miles got his title, "Anchors Aweigh," from an expression meaning the ship's hoisted anchor has just cleared the sea's bottom and, by implication, the voyage is underway. Stand Navy down the field, sails set to the sky. We'll never change our course, so Army you steer shy-y-y-y. Roll up the score, Navy, Anchors Aweigh. Sail Navy down the field and sink the Army, sink the Army Grey. We'll hoist true Navy Blue So Army down your Grey-y-y-y. A third stanza for "Anchors Aweigh" was written by Midshipman Royal Lovell. And in the 1920s the lyrics were revised by George D. Lottman. It is Lottman's final verse that is particularly well known. Charles Zimmermann died just before the U.S. entered WWI but his counterpart, John Philip Sousa, enlisted in the U.S. Naval Reserve and was paid one dollar per month to organize the young musicians recruited into the service. 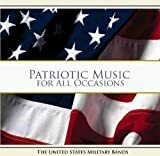 He molded the Great Lakes Navy Band into an accomplished musical organization and became the first Navy musician to hold the rank of Lieutenant Commander. Midshipman Miles continued with his Navy career and reached the rank of Captain. Verse 2 is the most widely sung.